Useful game to practice or revise the basic preposition. 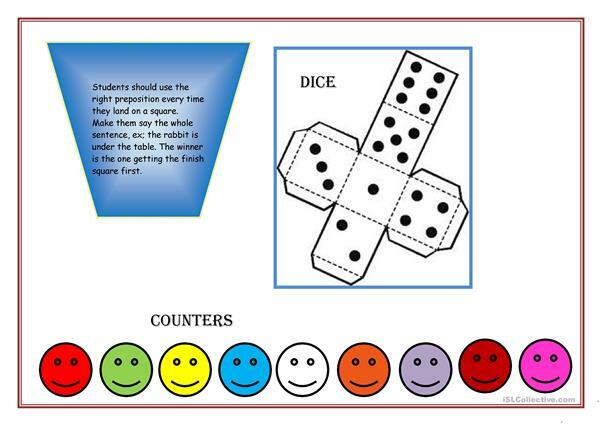 Gameboard, include dice and counters. This downloadable handout is meant for high school students, elementary school students, kindergartners and nursery school students and adults at Beginner (pre-A1), Elementary (A1), Pre-intermediate (A2) and Intermediate (B1) level. 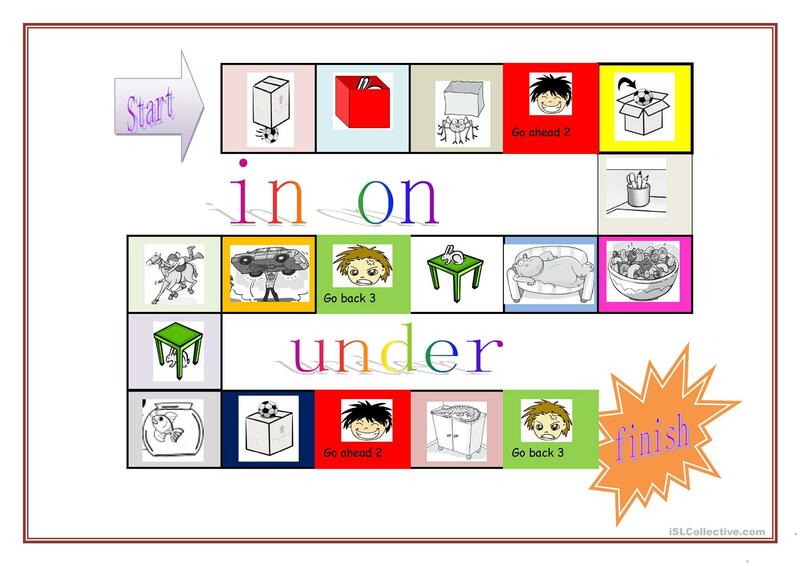 It is aimed at practising Prepositions in English, and can be used for improving your groups' Spelling, Speaking and Reading skills. It centers around the vocabulary topic of World.